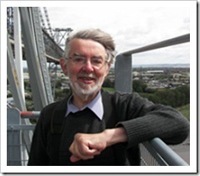 One Click Note: Congratulations and thanks are due to Labour's Paul Flynn MP, working for the best interests of British voters. Countries across Europe reacted very differently to the pandemic, and not all mounted high-profile vaccination campaigns, as did the UK. 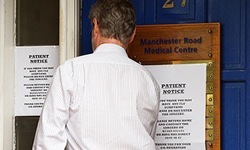 The World Health Organisation and other public health bodies have "gambled away" public confidence by overstating the dangers of the flu pandemic, according to a draft report to the Council of Europe. The report, by the Labour MP Paul Flynn, vice chair of the council's health committee, says that a loss of credibility could endanger lives. "This decline in confidence could be risky in the future," says the report, seen by the Guardian. "When the next pandemic arises many persons may not give full credibility to recommendations put forward by WHO and other bodies. They may refuse to be vaccinated and may put their own health and lives at risk." Flynn's draft accuses the WHO of a lack of transparency. Some members of its advisory groups are flu experts who have also received funding, especially for research projects, from pharmaceutical companies making drugs and vaccines against flu. "The neutrality of their advice could be contested," says the report. "To date, WHO has failed to provide convincing evidence to counter these allegations and the organisation has not published the relevant declarations of interest. Taking such a reserved position, the organisation has joined other bodies, such as the European Medicines Agency, which likewise, have still not published such documents." Flynn's report was commissioned by the Council of Europe's parliamentary assembly, which is holding an inquiry into the handling by European bodies and governments of the flu pandemic. The second evidence session will be held in Paris tomorrow. The witnesses will include the Polish health minister, Ewa Kopacz, who will explain why her government decided not to order any H1N1 vaccines. At the first evidence session, in January, some experts criticised the dramatic comparisons made last year between the novel strain of H1N1 circulating in Europe and the devastating Spanish flu pandemic of 1918. Professor Ulrich Keil, epidemiologist and director of the WHO collaborating centre on epidemiology of the University of Münster in Germany pointed out in evidence that the Spanish flu broke out in the very different circumstances of the first world war, where infections were easily transmitted by undernourished soldiers and there was an absence of medicines such as penicillin. One of the central questions of the Council of Europe inquiry, says Flynn, "concerns the possibility for representatives of the pharmaceutical industry to directly influence public decisions taken with regard to the H1N1 influenza, and the question of whether some of their statements had been adopted as public health recommendations without being based on sufficient scientific evidence". He cites as an example the decision to recommend two doses of flu vaccine for children, which was later questioned. "Various factors have led to the suspicion that there may have been undue influence by the pharmaceutical industry, notably the possibility of conflicts of interest of experts represented in WHO advisory groups, the early stage of preparing contractual arrangements between member states and pharmaceutical companies as well as the actual profits that companies were able to realise as a result of the influenza pandemic," says the draft report, which will be finalised when all the evidence has been taken, at the end of April. Listed below are links to blogs that reference this entry: New Swine Flu Report Reveals WHO & Public Health Corruption. This page contains a single entry by Toni published on March 29, 2010 2:42 PM. Pfizer to pay $142M for drug fraud was the previous entry in this blog. Psych Doctor Wrote 1,000 Prescriptions a Week for Psychotropic Drugs is the next entry in this blog.